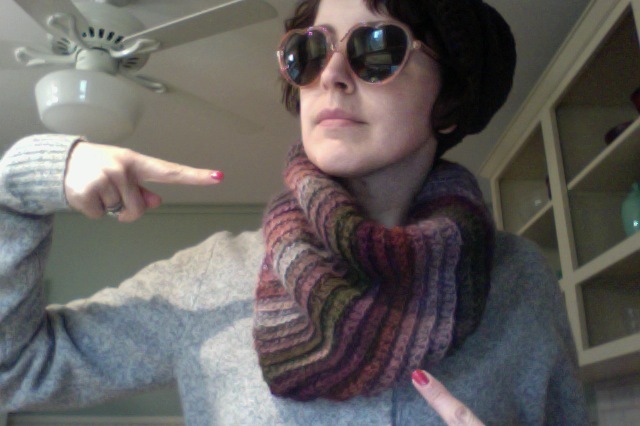 The author models her latest craftiness, while standing next to one of her biggest fans. 1. First things first: check out my latest crocheting project, the cowl modeled above by a certain festive someone (who is wearing a hat to hide some pretty serious bed head). I finished it yesterday, just in time to wear it on my date with my Valentine tonight! 2. Still need to show someone you care? Might I suggest a romantic read from your local bookstore? If you don’t have time to get out and about, how about downloading and emailing these swell Prickly Love Notes, or host a Prickly Party today with these downloadable black and white Love Notes and Prickly Stickers? 3. Mr. Prickles and Miss Pointypants are out there spreading the love, too — they’re dispensing romantic advice today! 4. Check out this AMAZING article on moi and Scott Magoon via 7-Imp, one of my all-time favorite reviewers. 5. Terrific reviews of Mr. Prickles here and here. Have you seen (or written!) others? Let me know and I’ll link to ’em! 7. 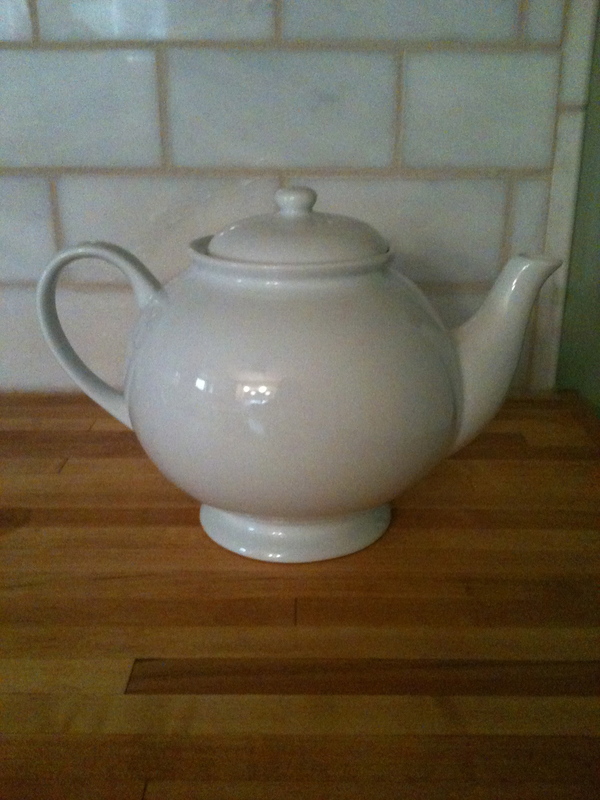 I’d be romantically remiss if I didn’t share with you what my Valentine gave me today: a teapot that matches the rest of my good china. I think it suits me to a tea. What are you doing today to spread the LOVE? Also, do yo have a large, fan club or a large fan club? In either case, I’m impressed with your “biggest fan”! Something IS brewing, Eve. And it is steeped in LOVE. Glad you’re impressed. I never feel cooler than when I’m with one of my fans! Just be careful— whirlwind relationships can let you down……….